A new civil engineering training area is being built at Telford College, in partnership with an award-winning local company. Building contractor McPhillips (Wellington) Limited is working with the college on the project at its Haybridge campus. The company has a long-standing relationship with the college, with apprentices studying at the centre, who are gaining experience and developing their skills on site. The new training area covers around 600 square metres, and has been specially designed to give students chance to hone their skills in areas such as drainage, road and footpath construction, kerb laying, surfacing, and paving. Three material storage areas have also been provided, enabling students to learn the process of receiving and checking materials that are delivered to site, and storing them safely. 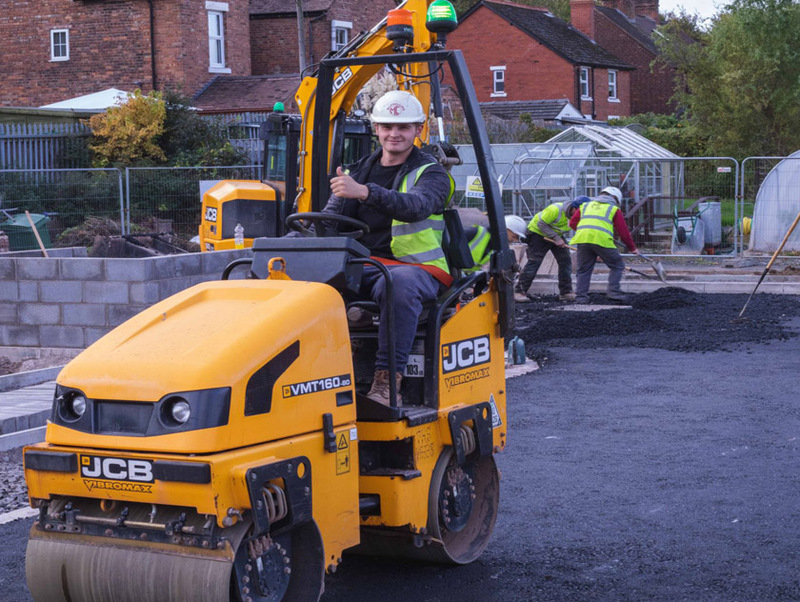 McPhillips’ marketing manager Mark Kiddie said: “It has been a pleasure continuing the company’s historic relationship with Telford College in providing this valuable facility which will enhance the already superb construction training provided to both our and other contractors’ trainees. They include Brad Thompson, 17, from Donnington, who is on the intermediate apprenticeship in construction civil engineering programme, Aaron Lane from Donnington, a former Telford Priory School student who is now a site supervisor at McPhillips, and Morgan Davidson from Ketley. Why join Telford Business Partnership?